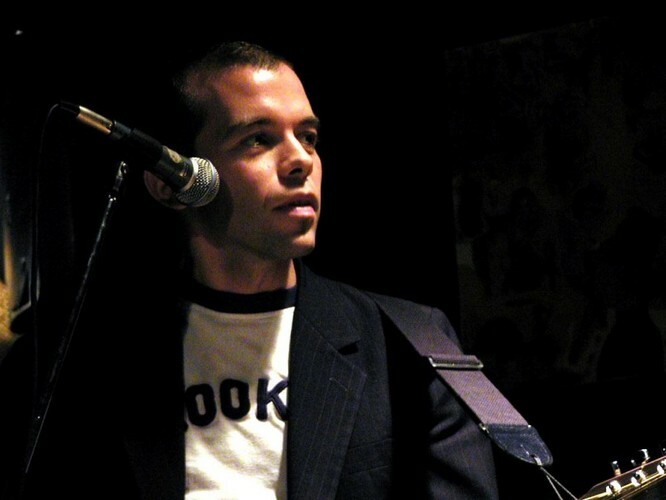 Mark Gardener is an English rock musician, and former singer and guitarist with the shoegaze band Ride. With Ride, Gardener released three EPs between January and September 1990, entitled Ride, Play and Fall. While the EPs were not chart successes, enough critical praise was received to make Ride the "darlings" of the UK music press. The first two EPs were eventually released together as Smile in the USA in July 1990 (and later released in the UK in 1992), while the Fall EP was incorporated into the CD version of their debut album, Nowhere, released in October 1990. Nowhere was hailed as a critical success and the media dubbed Ride "the brightest hope" for 1991. By the time Ride had released their second album “Going Blank Again” in 1992 it was widely understood that the Oxford quartet featuring Mark Gardener, Andy Bell, Loz Colbert and Steve Queralt were at the forefront of a sonic movement that distilled psychedelia, a post punk ethos and the exploratory use of extreme guitar special effects into an exciting musical amalgam dubbed shoegaze by the British press. Two more albums were to follow before creative tensions saw the band split in 1996. Since parting ways with Ride, Gardener has released material as a collaborator in a project called The Animal House, which featured ex Ride bandmate Loz Colbert, before exploring the acoustic side of his songwriting as a live solo artist and then finally releasing his debut solo album These Beautiful Ghosts in 2005. Along with his various EPs and solo albums since, Gardener has worked as an in demand producer, mixer, film soundtrack artist and collaborator with the likes of The Brian Jonestown Massacre, Robin Guthrie (Cocteau Twins), Dive Index and ex Melbourne psych rockers The Morning After Girls.